No Easter basket is complete without a sprinkling of jelly beans! 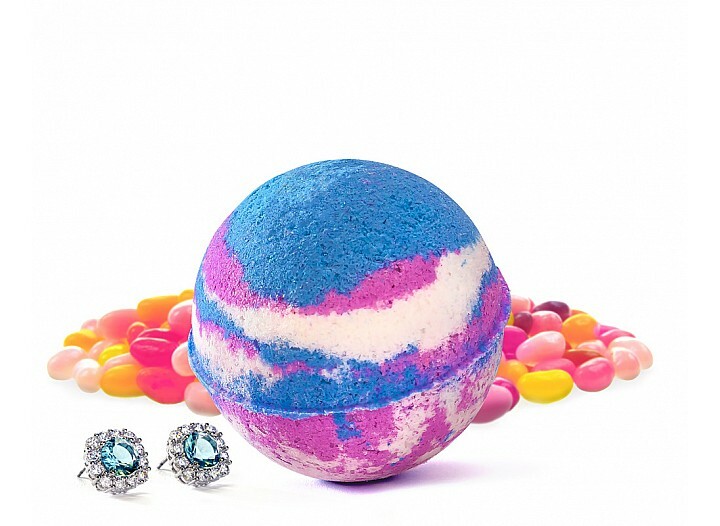 With a burst of luscious fruity tones that resembles the gourmand confection, but without all the sugar, this bath bomb is the perfect alternative! Sweet peach and strawberry harmonize with tart wild cherry in this fruity combination. 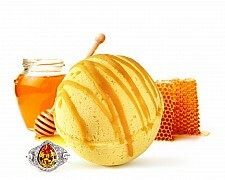 Hints of cinnamon, vanilla, and musk give it a warm undertone, to create a delightful candied bath bomb. Each bath bomb contains one hidden jewel valued $20 to $7500. These pastel colored earrings and necklaces are brand new styles, perfect for the spring! 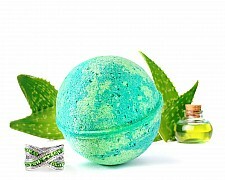 Transform bath water into a nourishing effervescent soak with our scented bath bombs. A sumptuous treat, our bombs are enriched with sunflower oil that releases delicate and enveloping fragrance, leaving your skin feeling softened and hydrated, for the utmost luxury bathing experience! * Actual jewelry may not be the same as shown in picture. Wind down for the evening all whilst nourishing your skin with a spa-like soak! 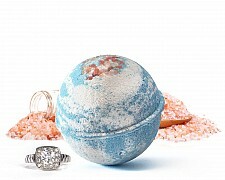 This bath bomb made ..
Pamper yourself and detoxify your body with this Pink Himalayan Sea Salt bath bomb. 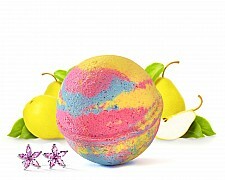 Made of sunflowe..
Indulge, detox and release stress from the day with this hydrating bath bomb made with skin-softenin.. Unwind at the end of the day with this moisturizing and soothing soak. The honey packed in this bath.. This may not be the treasured golden egg, but this Golden Pear Jewelry Bath Bomb surely meets the go..